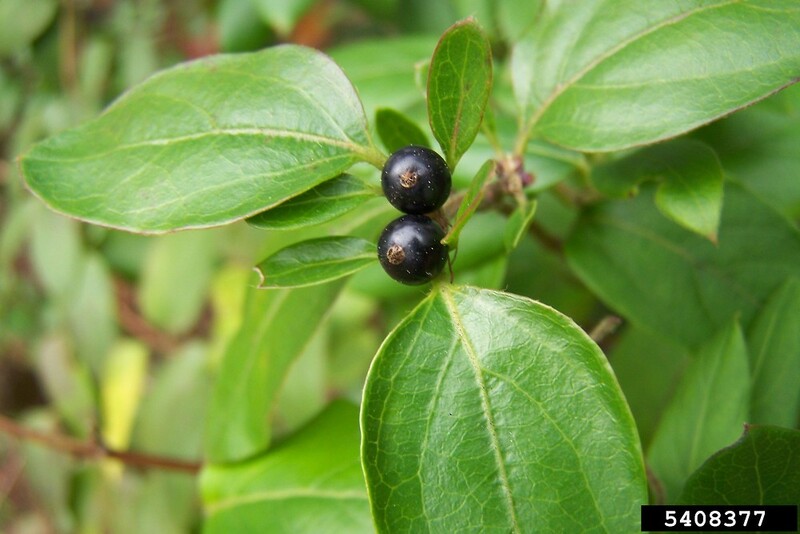 Lonicera japonica.Beaver Creek Environmental Atlas. Northern Arizona University.beavercreek.nau.edu (Accessed 5/2014). 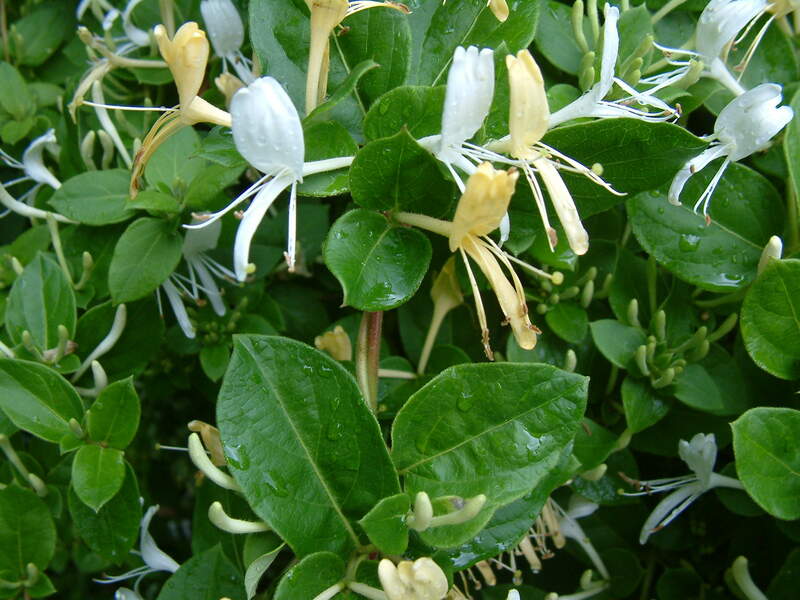 Lonicera japonica is a woody vine, climbing, trailing, bark brown, shredding; colonial from stem layering and root sprouts. Leaves opposite, ca 5 cm long, entire to toothed or lobed, semi-evergreen, new leaves emerge in early spring, shade tolerant but does not flower or fruit in low light (Robertson et al. 1994). Flowers pale, dull yellow or white, very fragrant tubular, irregular, collecting nectar in base, May-June; insect & possible hummingbird pollinated. Fruit fleshy, black, persistent, pulp lipid <10% (White and Stiles 1992); seeds dispersed by birds. Fruit eaten by many song birds, also by bears and coyotes (Wilson1993), twigs eaten by deer. Lonicera japonica. By Karan Rawlins. Copyright © 2015 CC BY-NC 3.0. – www.bugwood.org: (Accessed 6/2015). 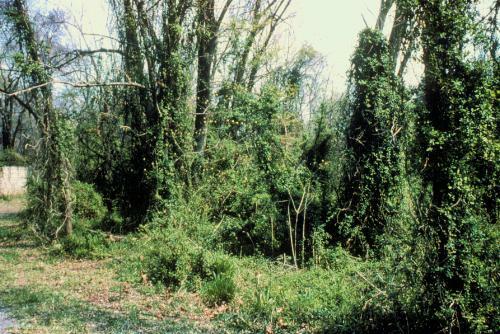 Habitat: Moist to dry, open, disturbed forests, edges, roadsides, developing woodlands, and around abandoned house sites. In NYC, found in soils with pH 4.7-7.0 (Gargiullo unpublished data). Lonicera japonica.© Copyright Mark Brand.www.hort.uconn.edu. (Accessed /2014).